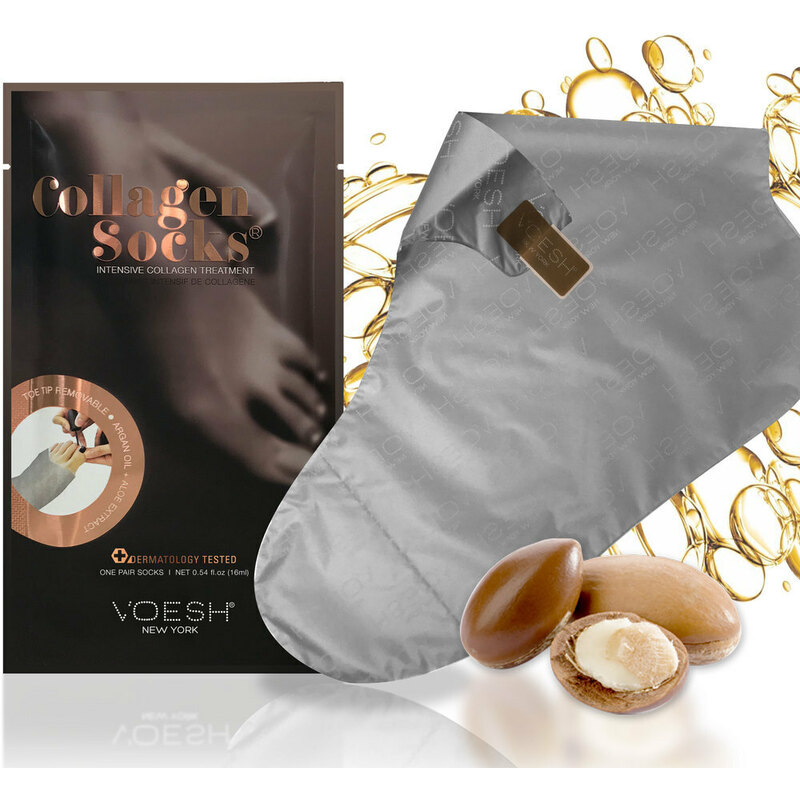 VOESH UV protective foot mask socks brings innovation to pedicure treatment. Each Mask is pre-loaded with 16 mL. of Vitamin E and collagen rich emulsion to penetrate and moisturize the skin. When ready to have a pedicure, simply remove the tips of the toes along the perforated pre-cut lines. Made with a micro thin dual layered material. Protects up to 98.9% of UV rays. Saves time by moisturizing feet while client is getting a pedicure. Great for softening calluses. 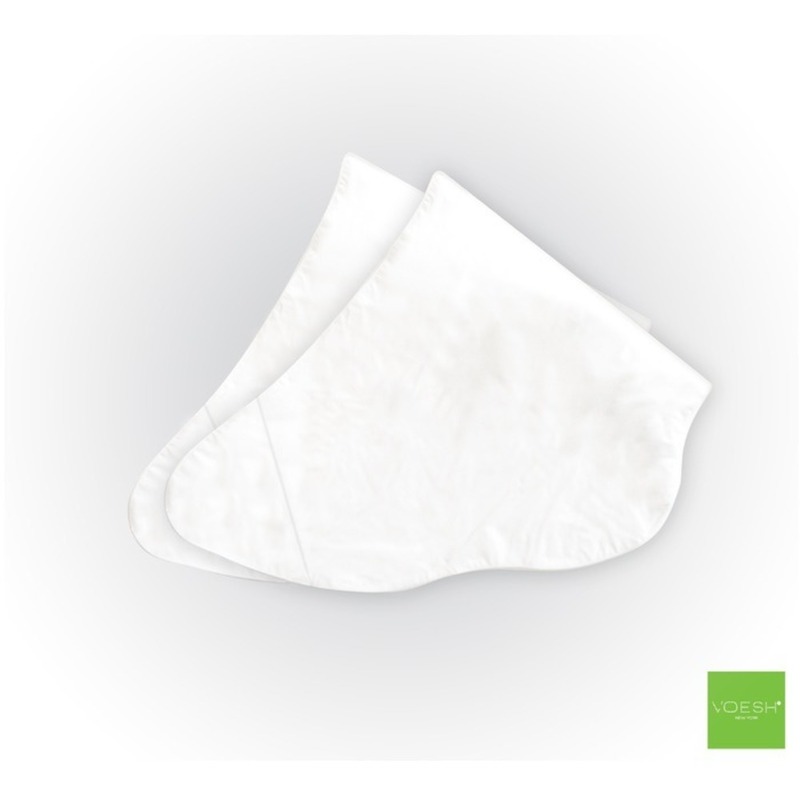 1 Pair Pack. Also available in 100 Pair Case. 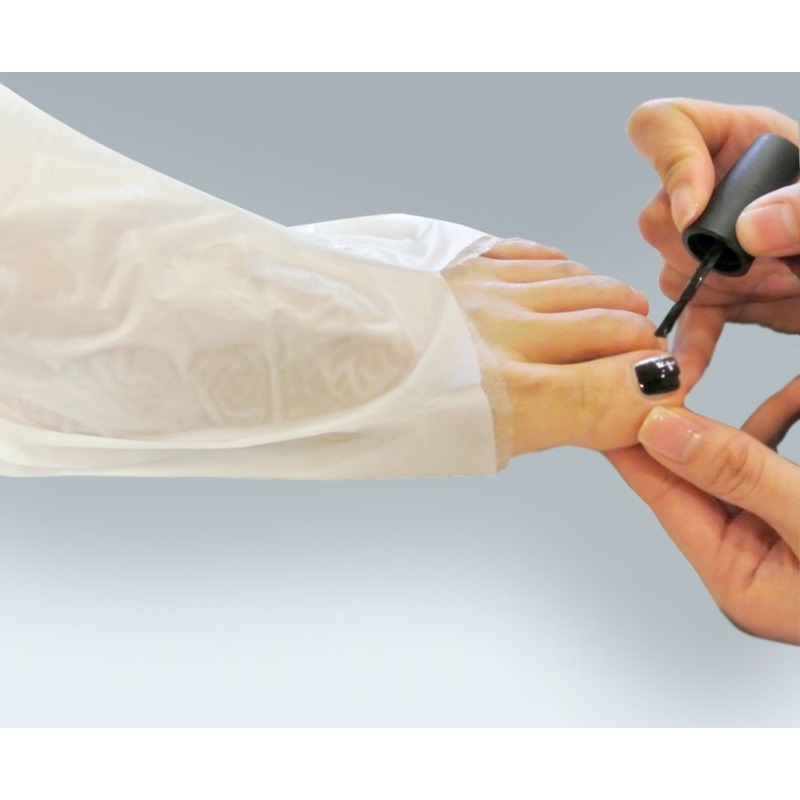 Also available in VOESH UV protective Collagen Gloves for manicures! VOESH is a new beauty brand bringing innovation and philosophy to every product. The way we look at beauty industry is changing. At VOESH, we are working every day to better meet your needs and see real beauty from your perspective. We are committed to bringing real cleanliness, freshness and delights for your extraordinary spa experience. BTW, many people ask "How do you pronounce VOESH?" It's VOE-SH, Not VO-ESH.